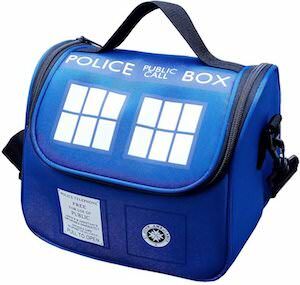 If it is lunch time and you are hungry for fish fingers and custard then you just wished that you had this Tardis shaped lunch box to store your typical Doctor Who lunch into. 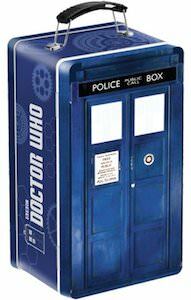 The lunch box is not the typical shape, this Doctor Who lunch box is tall just like the Tardis and the front looks like the doors from the Tardis and on the side it says in big letters “Doctor Who” with a smaller image of the Tardis and some gears in the background. 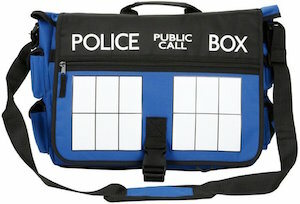 The Tardis lunch box is made from metal and that almost makes it to nice for everyday lunch but it does work for lunch and works great for storing collectibles too. 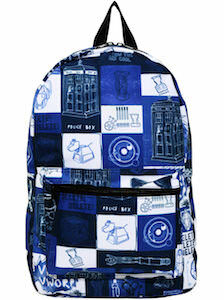 This Tardis messenger bag is perfect for school, work and everyday use. 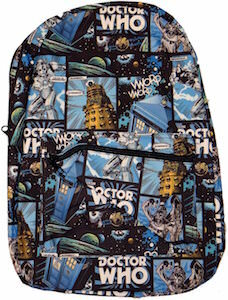 Inside this Doctor Who bag you find room for many things and there is even a laptop and tablet sleeve. There are 4 smaller pockets on the outside so that you can always have your things handy and at quick reach. The padded adjustable strap makes it real comfortable to wear this messenger bag. 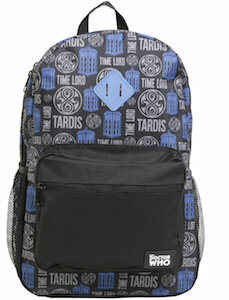 And as you can see the bag is Tardis blue with the top sign and the windows. 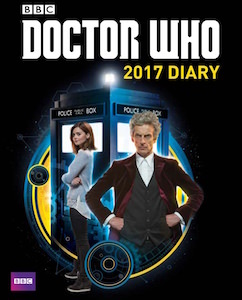 Unfortunately Doctor Who did not confirm is it is bigger on the inside so many it is just a normal size messenger bag for Doctor Who fans. 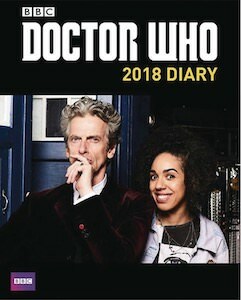 This Doctor Who water bottle is made from stainless steel and can hold up to 18oz of your favorite drinks. And on the chrome finished bottle you can find the Tardis and the Doctor Who logo on the front and a bunch of rounds symbols on that back. This wide mouth water bottle is great for everyday use and the wide mouth makes it easy to add things like ice cubes and the bottle also acts like a thermos and that means that your drinks can stay hot or cold for up to 6 hours. 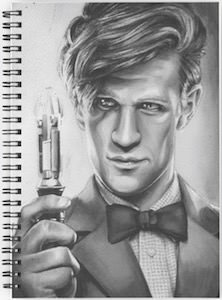 A Doctor Who bottle like this one is great for school, work, the gym or anywhere else you are going and could get thirsty.